In April we had the thrill of watching chicks hatch. We studied chicks for the 21 days that they were in the incubator about the various stages they were at and the different parts of chicks. When the time came for them to arrive, the class was thrilled. 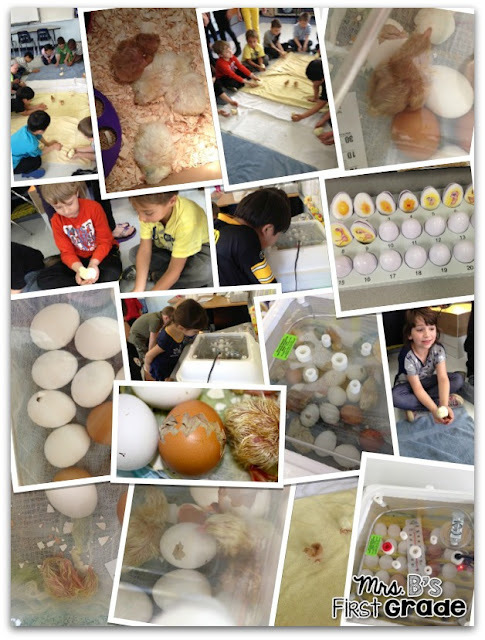 We even witnessed a "miracle" when a chick hatched 5 days late and survived! The chicks are now living with a family in Bannockburn. We were sad to see them go, but loved learning! Those chicks are so cute. You students did a great job nurturing them.